It's Tuesday and that can only mean one thing. We like to keep things delicious and (ridiculously) easy here in the Austen Abode and these fish tacos deliver both. Seriously, it's almost embarrassing just how simple this yummy dinner is. First things first, prepare your fish sticks according to the package instructions. 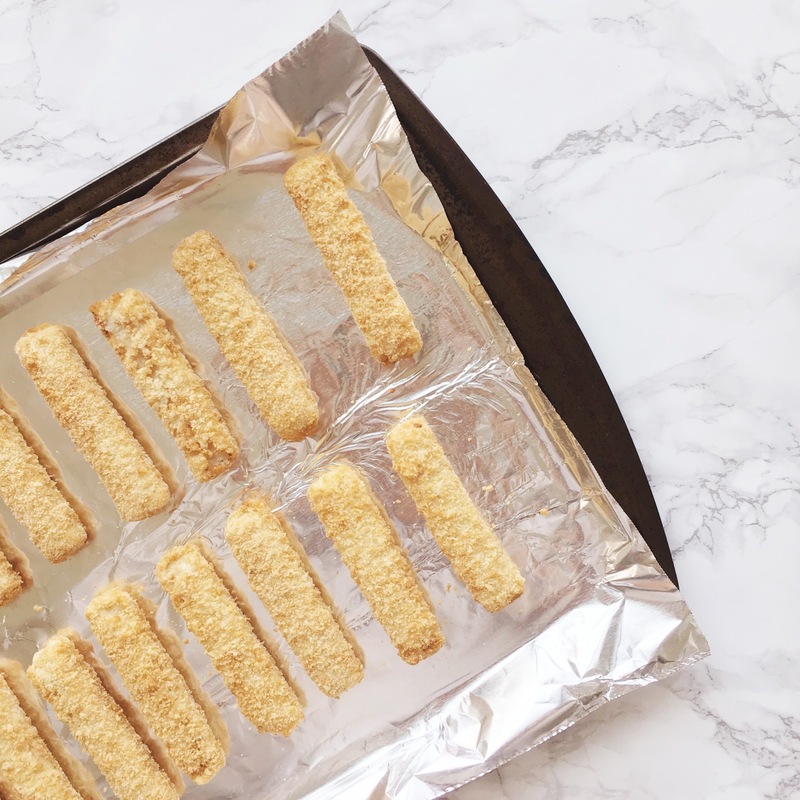 Literally, just grab whatever bag or box of fish sticks you like and bake them. I know it sounds weird but you've got to trust me on this. 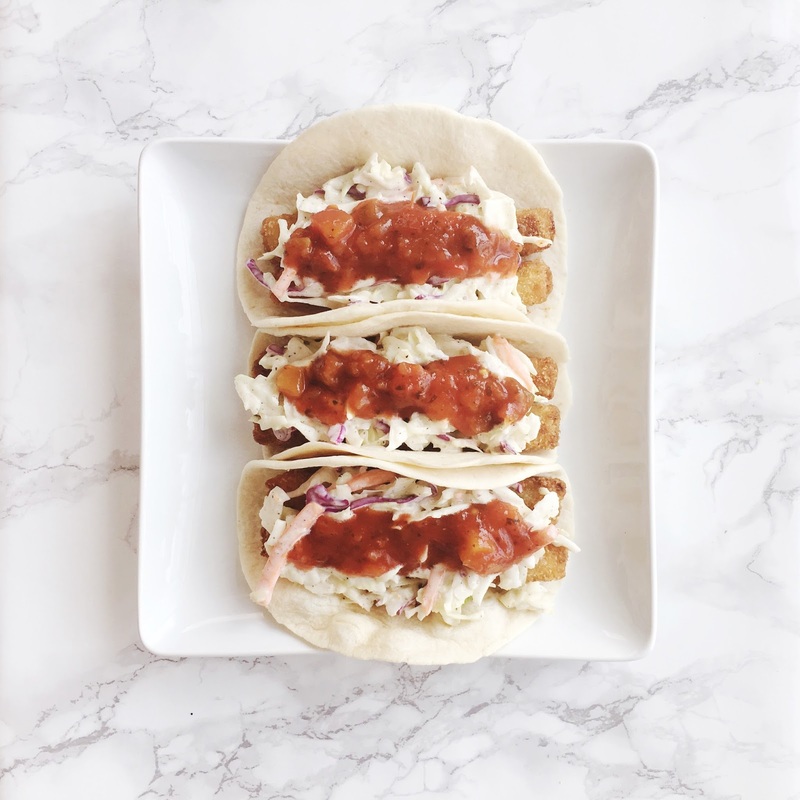 The battered fish sticks add the best crunch ever especially once they're wrapped in pillowy soft tortillas and the contrast in textures is really what makes these tacos stand out. Speaking of texture, let's get to work on that coleslaw. 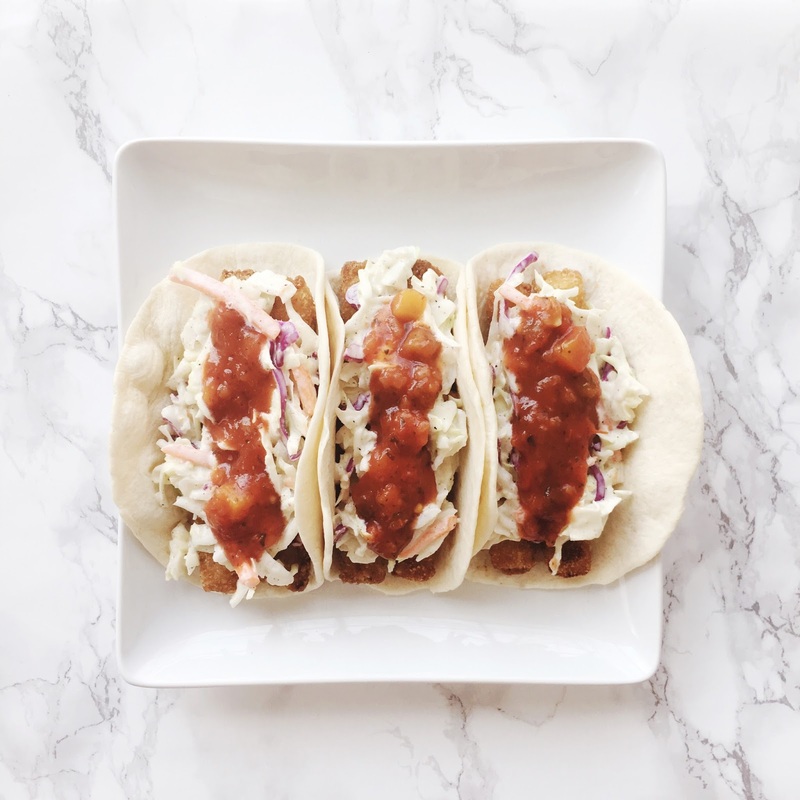 For these tacos I like having a creamy coleslaw as a topping because it marries all kinds of crazy yummy flavors together and just feels right. I found my super-duper ultimate favorite coleslaw recipe here on Allrecipes by user Wilemon. 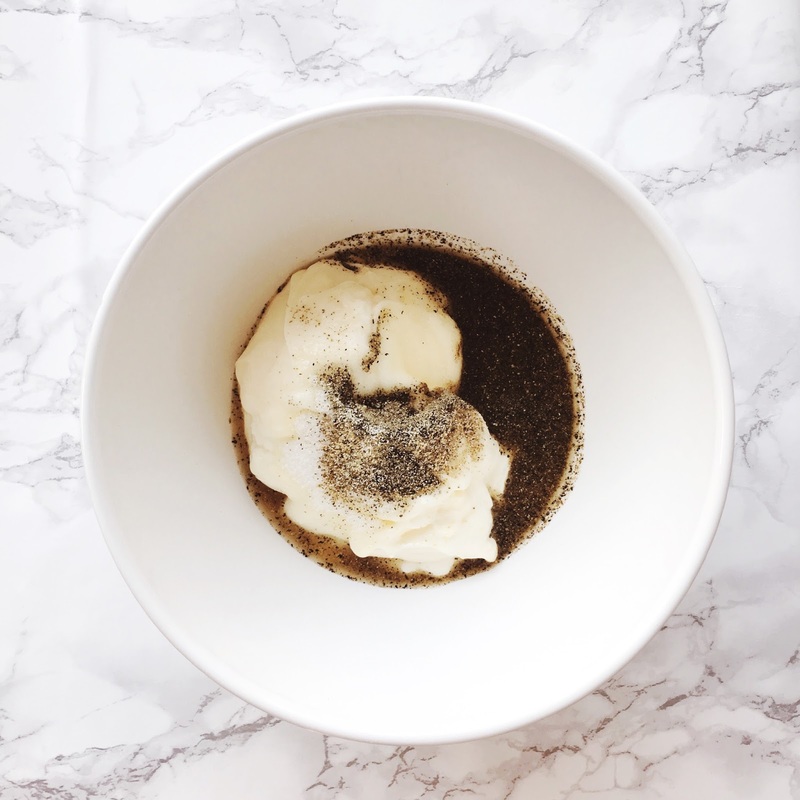 It's the perfect blend of spices, acidity, and creaminess. Ready for how simple the coleslaw is? I know it sounds obvious but my bit tip here is to whisk the dressing together and then toss in the coleslaw. You're probably reading this saying "Duh Annie, who puts all those ingredients on top of the shredded coleslaw and then tries to mix everything together in a well-distributed way?" The "who" in that statement is me. I am the person who for some inexplicable reason used to put the coleslaw in first and make it work. I felt like a genius when I realized I could make the dressing part first and then toss in the slaw part. I don't really have an excuse for that one. Just glad I know how to properly make coleslaw now. So, like mentioned before, toss a 16oz-ish package of coleslaw in, give it a good mix, and voila. You have delicious, sweet, savory, vinegary, creamy coleslaw to slap on some fish tacos. If your fish sticks aren't done baking yet, pop that bowl in the fridge and let those flavors mingle. 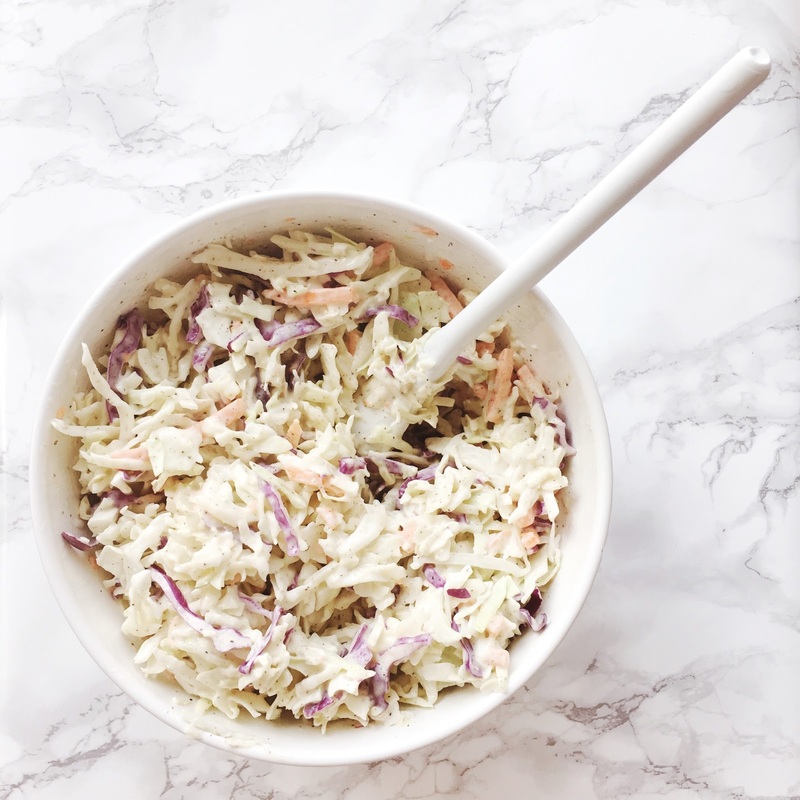 Now if you (somehow) manage to have leftovers, this coleslaw keeps really well in an air-tight container in the fridge for at least a day, maybe two. Hello next day lunch? You're looking delicious. Now it's time to assemble the squad. 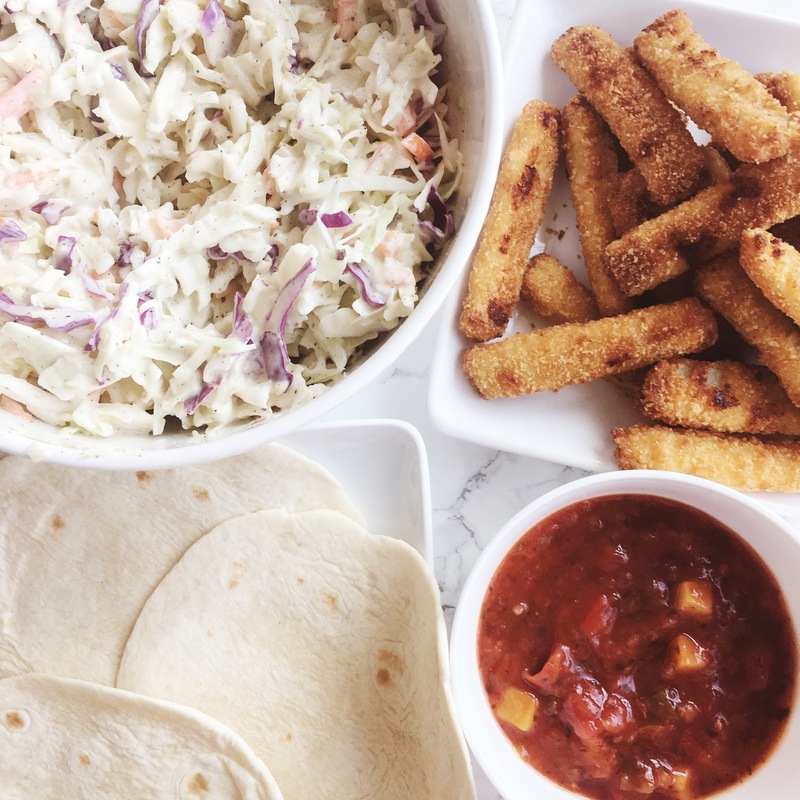 We've got our slaw, our (now baked) fish sticks, some yummy warmed-up soft flour tortillas (I like the cute little taco sized ones), and mango salsa. Now, the mango salsa is very important for creating that crazy delicious sweet-savory-crunchy-yummy flavor profile because it adds a little layer of sweetness. If you're not a fan of mango or can't find mango salsa, you can always use a peach or pineapple salsa. I know it might sound out-there but trust me, you're going to love that sweetness when it's combined with everything else. Now make that taco. 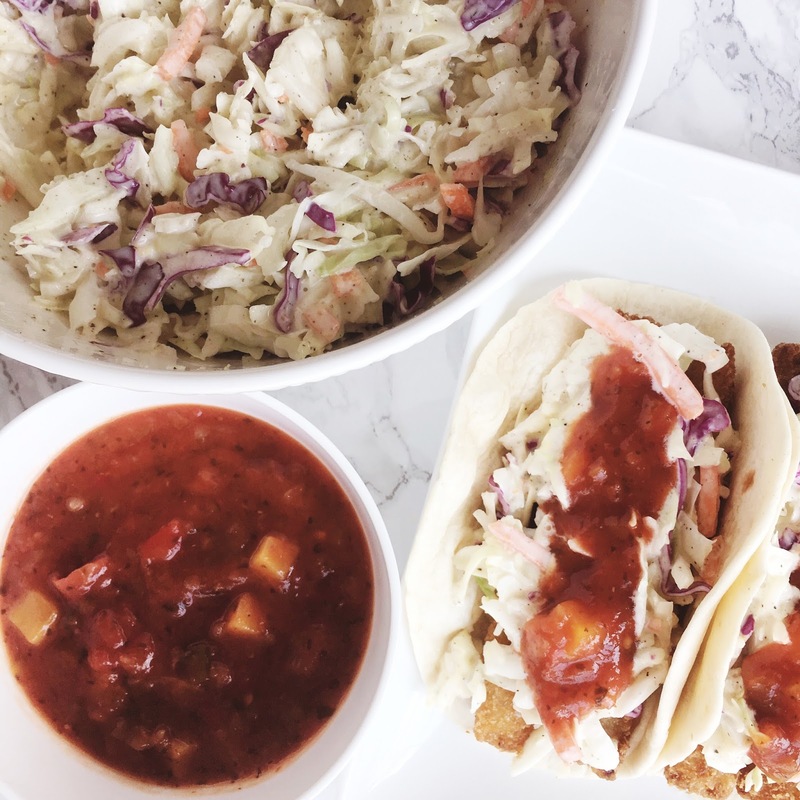 Grab that warm tortilla, throw on some fish sticks (one, two, ten - I'm not here to judge), pile on that yummy coleslaw, and drizzle (or pour) on your mango salsa. And repeat. At least three times (the minimum recommended taco consumption threshold). My mouth is watering just thinking about these little lovelies! Dinner really can't get any easier or more delicious so give them a try and let me know what you think! Taco Tuesday will thank you for changing things up. Prepare the fish sticks as directed on the package. While the fish sticks are baking, combine mayo, sugar, spices, and vinegar for coleslaw in the bottom of a bowl. 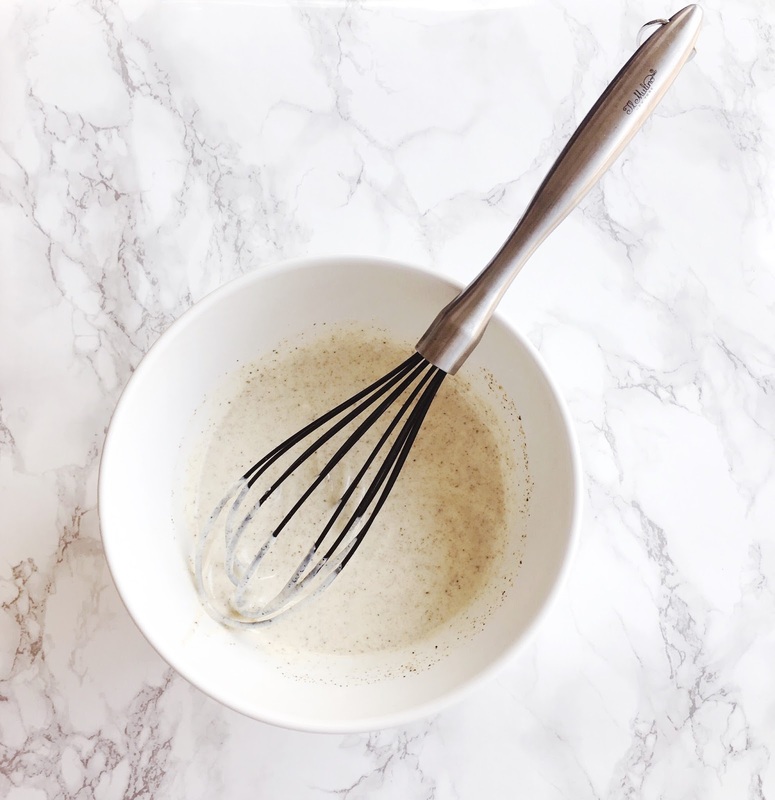 Whisk till creamy. Toss in contents of coleslaw package till well coated. Warm tortillas in microwave for approximately 20 seconds and add fish sticks, coleslaw, and mango salsa. Serve alone or with tortilla chips and enjoy! I am definitely going to try this. I never thought of using fish sticks this way or of making my own coleslaw. "At least three times (the minimum recommended taco consumption threshold)." I don't know why, but this line actually made me laugh out loud. Keep up the good posts Annie! I'm so glad you like the posts and think they're a little funny too! :) I typically laugh out loud when I'm writing them so it's good to know one of my funnies landed! 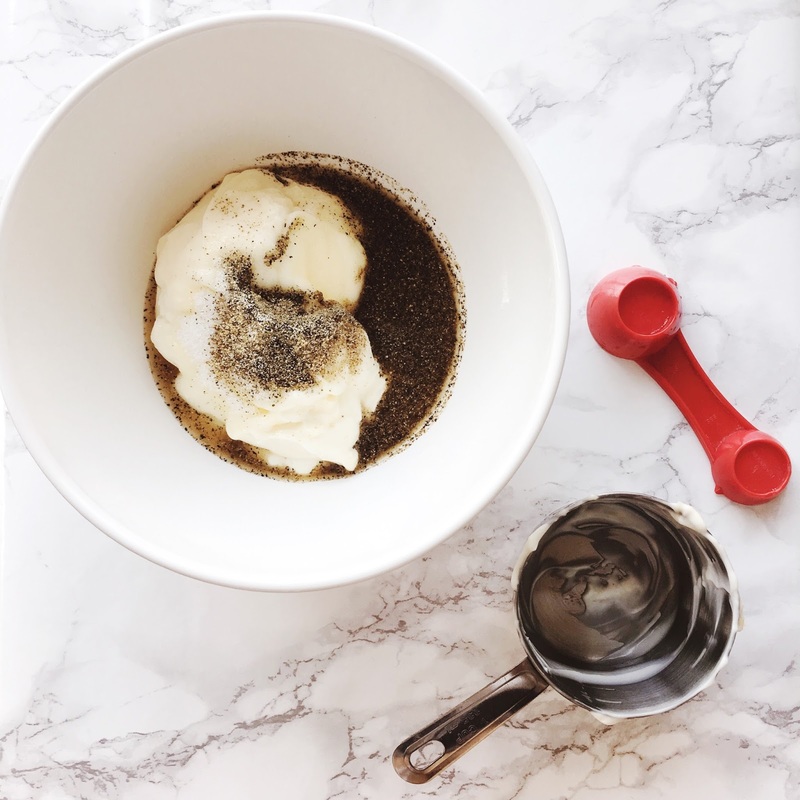 Let me know what you think of the recipe! It's one of my very favorite meals!